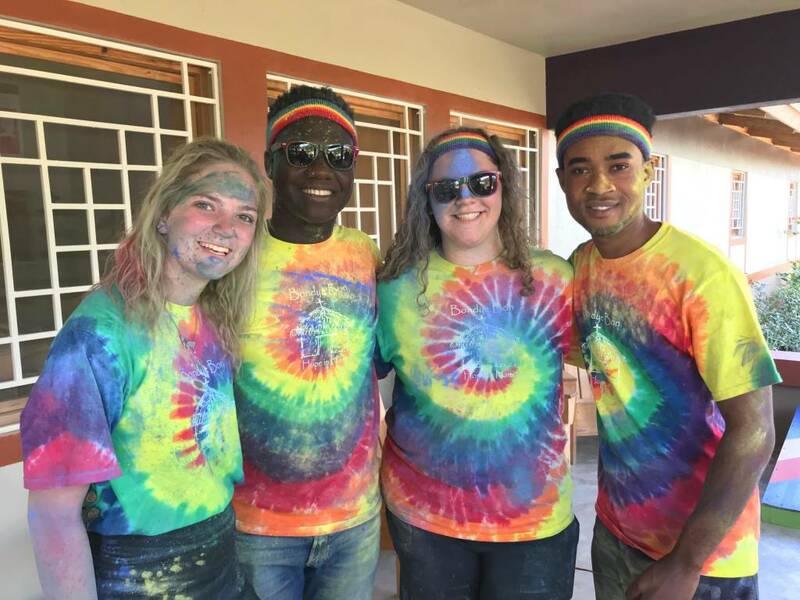 The Spencer Hope team has helped to host the fourth annual Color Blast Run for youth in Pignon, Haiti. With lots of sweat, laughter, and paint powder, the day was deemed a success by all involved. Keep reading to catch a glimpse of the day! Today was a blast – both literally and figuratively. 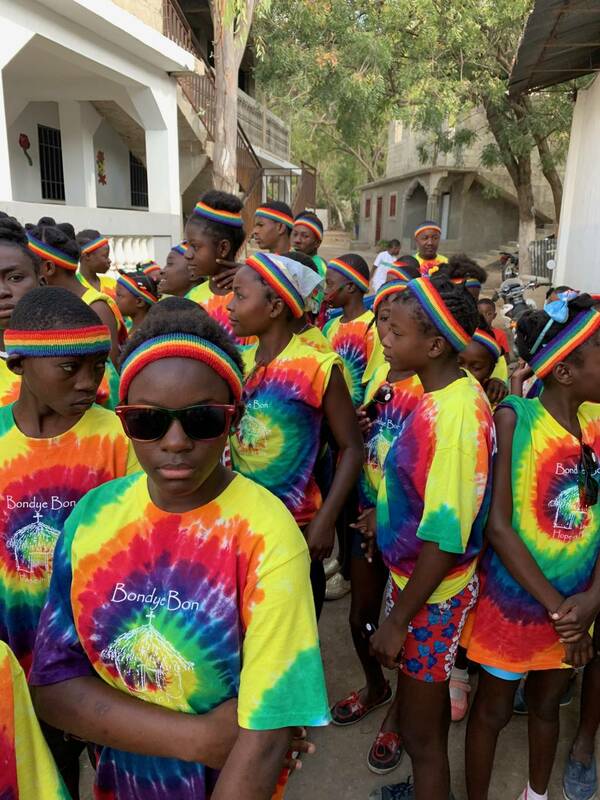 This morning we woke up early and headed out to Pastor Francois’ orphanage where the color blast route would begin. 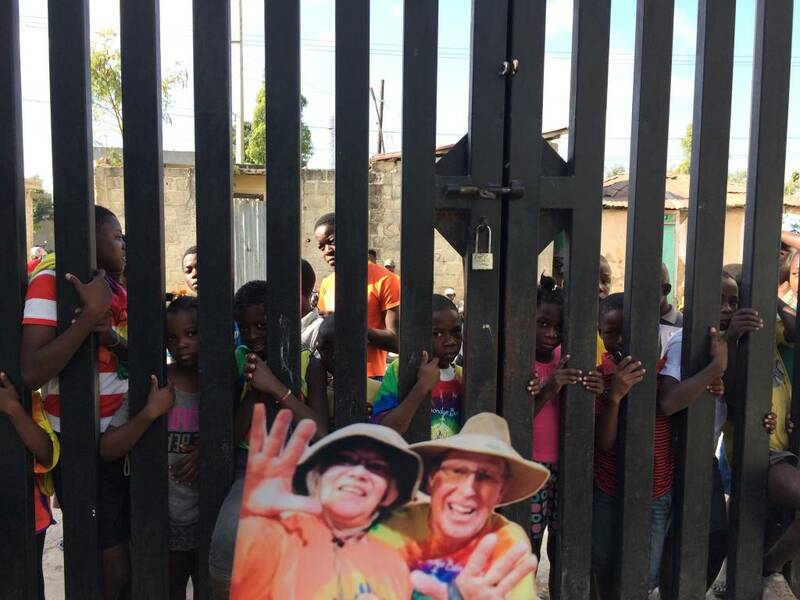 One by one, we let the Haitian kids inside for breakfast and a welcome. It was so amazing to watch their eager faces as we let them in the gate and handed them a headband and a pair of sunglasses. We couldn’t forget about flat Mike and flat Gloria of course, we had fun again posing them in various places. 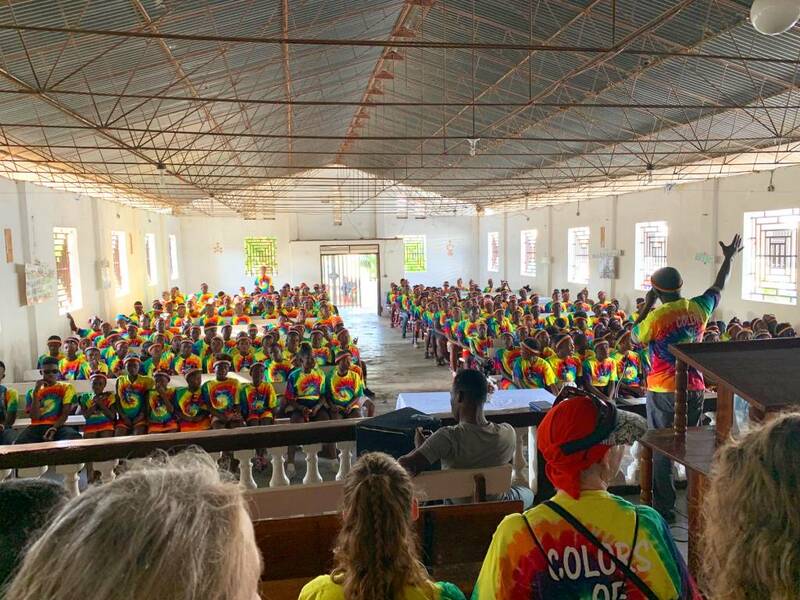 During the welcome in Pastor Francois’ sanctuary, our team split up into four groups and left to attend our stations. Kids were let out of the gate at the orphanage by groups of 50 and as each Haitian group passed, we would blast colored powder onto them. Many would try to run away from us, but it was quite fun to chase them as we left no kid unmarked by the colored powder. Once all the kids passed, we moved onto new stations and followed the same process. 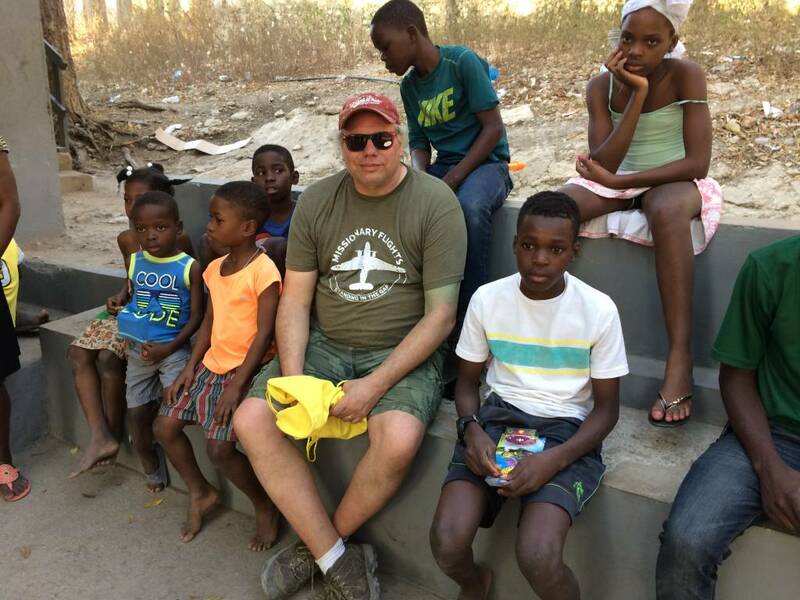 The run ended at the compound and the colorful Haitian kids were an exquisite site to see. All 225 kids gathered together in the equipping center (a large outdoor structure on campus) after the run. There, three different speakers shared messages and others sang song with the kids. Even a few kids got up themselves and led songs. It was so empowering to see their courage and confidence. In between messages, the team handed out bibles in the bags we packed the night before. 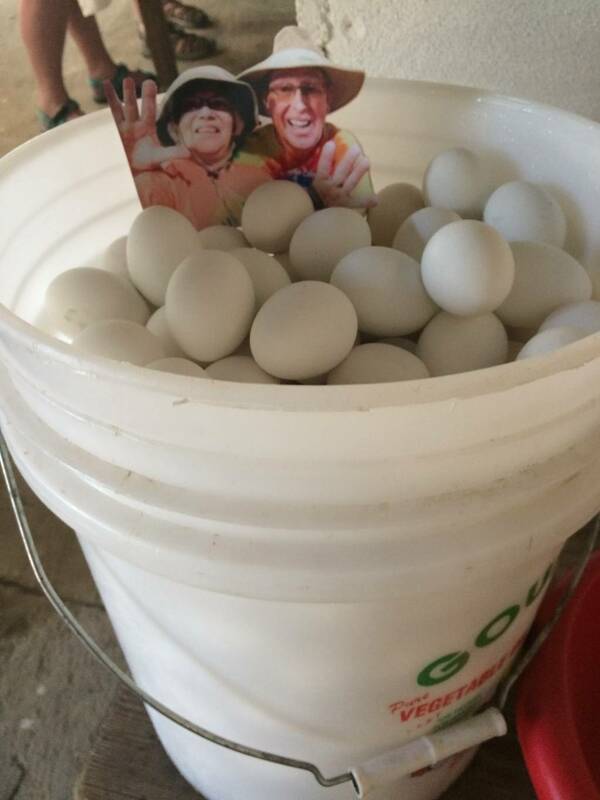 The kids loved the pictures of people from Hope Church’s color run and the messages included inside. Although only a few could read the English notes, they could tell that each person pictured genuinely cared about them. When Todd shared his message, he talked about how as a Christian walking your life in grace, you should include prayer, community, study, service and praise. I found this to be very valuable to the service as it is very relatable for both Haitians and people from other countries. We must possess all of these qualities to truly walk in grace as Christians. After the service, we took time to clean up and eat lunch. We then headed to the market. Market is the busiest on Saturdays so we were in for a real treat. As a team, we and a few translators walked in a single file line through the market because it was so packed. Many times we would be honked at to move out of the way for a motorcycle or told to move for a wheelbarrow: it was quite entertaining. Done at the market, we traveled back to Pastor Francois’ to play with the orphans. We had multiple activities going on while we were there. Some painted girl’s fingernails, and others had jump rope competitions, blew bubbles, and played the xylophone. The kids were so excited to see us, and it was so encouraging to see their pure joy in our presence there. They were so observant and accepting of the individualized attention they were given as that is not a normal occurrence for them. Arriving back at the compound, a few of us snuck up to the roof and watched God’s amazing masterpiece unfold. As the sun went down, we took in each moment in awe. The sun sets over the mountains, and it is breathtaking. Isn’t it amazing how God can use such little moments to impact us greatly? Such small moments today created so much joy for both the Haitians and our team. God used today’s events as a reminder that we can find all our joy in him. Psalm 40:8 says, “I will take joy in doing your will, my God, for your instructions are written on my heart”. Personally, my main goal will be to find joy in the instructions God places on my heart, I encourage you to do the same. Bondye beni ou: God bless you! Thanks so much for the update . Many times during each day we think of Team Hope, the Gabhart’s, and the work you would be doing at that time. We would stop and pray for you and your influence in Haiti and Haiti’s influence on the team. We are with you in spirit as well as flat Mike and Glo! I enjoyed the update to your trip. Did the team bring all the colored t-shirts for all the kids. 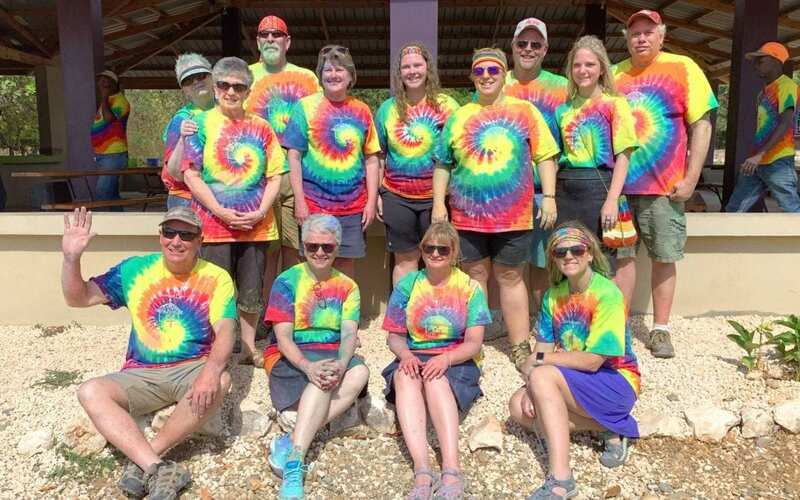 What a wonderful and giving mission trip. Yes! 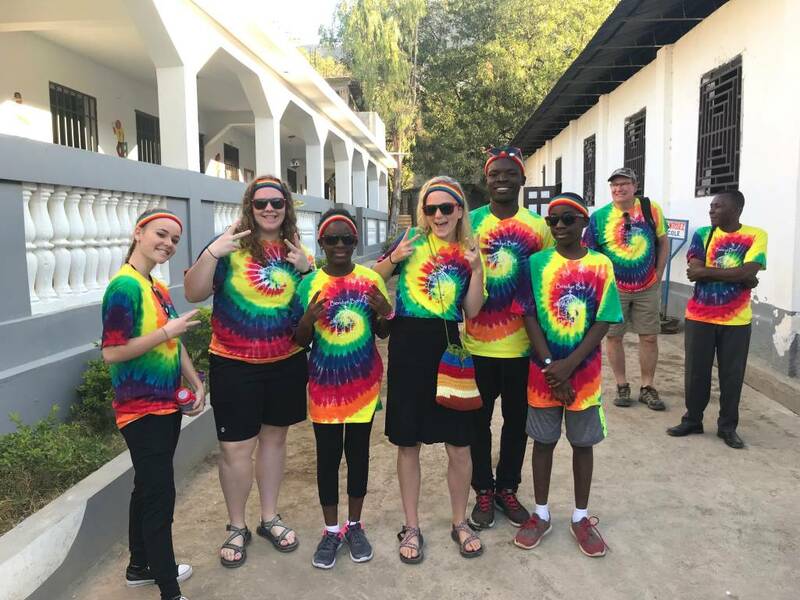 We packed all of the t-shirts into suitcases and brought them with us to Haiti!